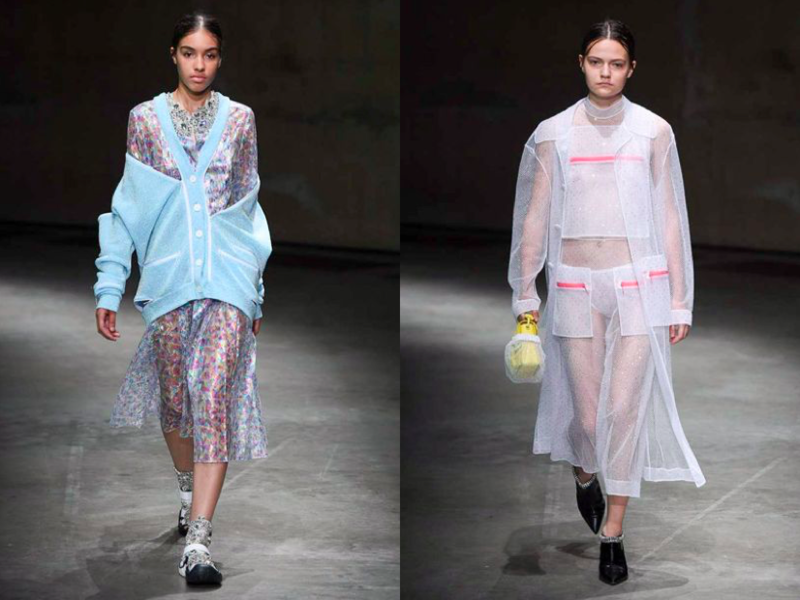 Christopher Kane‘s spring-summer 2018 collection was an exercise in what’s domesticated, what’s fetishistic. The designer, who never disapoints in creating some of the most unorthodox fashion statements, had a story on his mind. A story of a pristine lady, very proper and neat, a 100% perfectionist, who has an emotional breakdown. Her life is domesticated, but she feels a need for sexual freedom – after all, she’s not that innocent. From elegant, 40s housecoats to desultory dusters, the inspirations behind Kane’s new collection span from absolutely refined couture-detailing to the most common household objects. Looks were finished with the finest of Atelier Swarovski jewels – showcasing the brands long-standing partnership. The collection was not only a daring stance on sexuality found in day-to-day fetishes, but also a nod to British class boundaries that have affected women for centuries. It’s as if a housewive went bad, very bad, and fell an affection for flirty satin and lace lingerie. And she has certainly put her hands on John Kacere‘s coffee-book, that probably counted as the dirtiest gift given from her husband’s boss. The artist, whose artworks were developed as prints for Christopher’s dresses and t-shirts, almost solely devoted himself to idealized depictions of the female body (sometimes in lingerie, sometimes not). That’s a naughty tale, indeed. 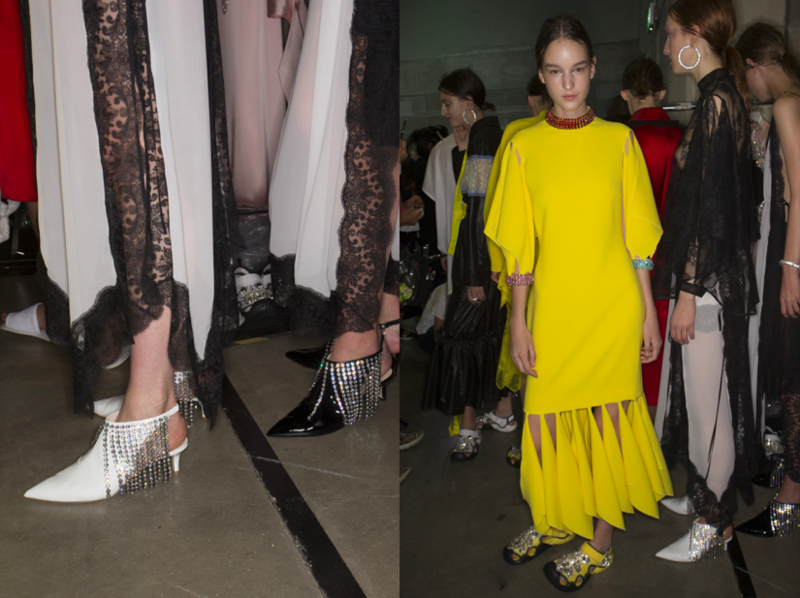 This entry was posted in London, Trend Reports and tagged Atelier Swarovski, Christopher Kane, LFW, london, SS18, Swarovski. Bookmark the permalink.